The following shows training currently entered into the system. Please allow sufficient time for course completions to be reported. Paper Exams are given simultaneously in multiple locations for ALL certification types/levels. Electronic Exams are given in different locations on different dates. Examinations usually begin at 1:00 p.m. Applications must be postmarked at least 30 days prior to exam date. All Examinations begin at 10:00 a.m. with a time limit of 3 hours for completion. If you have been newly designated as an ORC or OIC, your employer must submit a Designation Form. Click 'Download ORC / OIC Form' above. Click 'Remove Designation' link to send an email requesting your ORC or OIC Designation be removed for that facility. Enter criteria above and press Enter key or Search button. Name search is by Last Name. 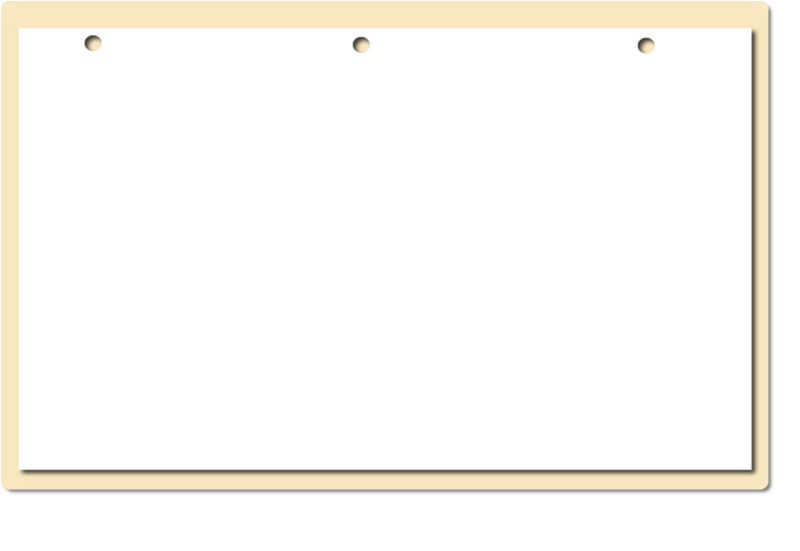 To select an Operator, double-click the Operator or press the Select button. Note: Searches may be slow until Waste and Drinking databases are combined. 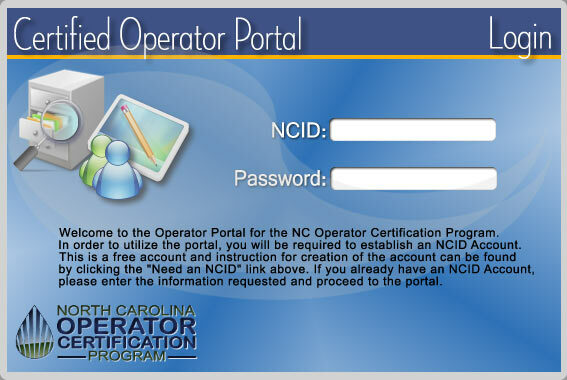 Welcome to the Operator Portal for the NC Operator Certification Program. In order to utilize the portal, you will be required to establish an NCID Account. This is a free account and instruction for creation of the account can be found by clicking the “Need an NCID” link. If you already have an NCID Account, please enter the information requested and proceed to the Operator Portal. Forgot Password? Need an NCID?